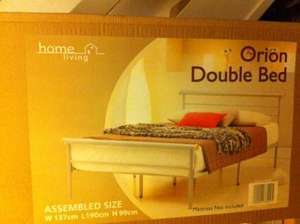 Bought this Double Bed frame yesterday at £29.99 (further reductions) from Slough Store. I don't know if this is National or not. Very good price for a bed in the spare room. Deal posting newbie! This is indar first deal post. Help out by leaving a posting tip or just to show your appreciation for their contribution.